HI, AT ROSINA ANIMAL CENTRE WE RESCUE A WIDE RANGE OF ANIMALS INCLUDING AVIARY BIRDS. WE DO NOT REHOME THE ANIMALS AT ROSINA ANIMAL CENTRE BUT TRY TO HELP PEOPLE REHOME THEIR ANIMALS IF THEY ARE HAVING TROUBLE FINDING THE RIGHT HOME. 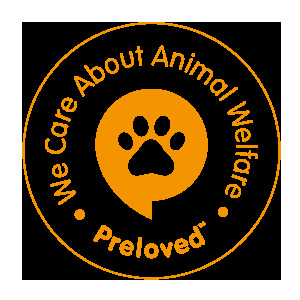 WE PREFER THAT THE ANIMALS GO STRAIGHT FROM ONE HOME TO ANOTHER BUT WE ARE ALSO ABLE TO FOSTER THEM FOR A SHORT WHILE IF THE ANIMAL NEEDS TO BE REHOMED FAST. WE ASK A DONATION OF £10 (A FINDERS FEE) WE THEN CONTACT THE PEOPLE ON OUR FOSTER LIST AND OUR NEW HOMES LIST, WE DO A HOME CHECK AND MAKE SURE THAT WE REHOME THE ANIMAL TO THE RIGHT FAMILY RATHER THAN THE FIRST COME FIRST SERVE SCENARIO. WE RESCUED 30 BUDGIE AND COCKATIELS A FEW MONTHS AGO THEY ARE IN A SMALLER AVIARY BUT ARE SAFE WITH US AS THE OWNER WAS GOING TO JUST LET THEM FREE TO GET RID OF THEM. THE AVIARY GIVES THEM ROOM TO PERCH, FEED, SLEEP AND PLAY BUT IT NEEDS TO BE EXTENDED AS THE MORE BIRDS WE TAKE IN THE LESS ROOM THERE IS FOR THEM TO FLY AROUND. ROSINA ANIMAL CENTRE RELIES ENTIRELY ON DONATIONS AND IS NOT GOVERNMENT FUNDED BUT SOMETIMES WE FALL SHORT WHEN WE HAVE A FEW BUSY WEEKS OF RESCUES. IF YOU WOULD LIKE TO SUPPORT ROSINA ANIMAL CENTRE AND ITS FAMILY OF AVIARY BIRDS YOU CAN, BY DONATING FOOD, TREATS OR TOYS, EVEN BUILDING MATERIALS SUCH AS WOOD WILL HELP US TO NOT ONLY ENHANCE THEIR LIVES BUT WILL ENABLE US TO TAKE IN MORE AND GIVE THEM A GOOD LIFE.